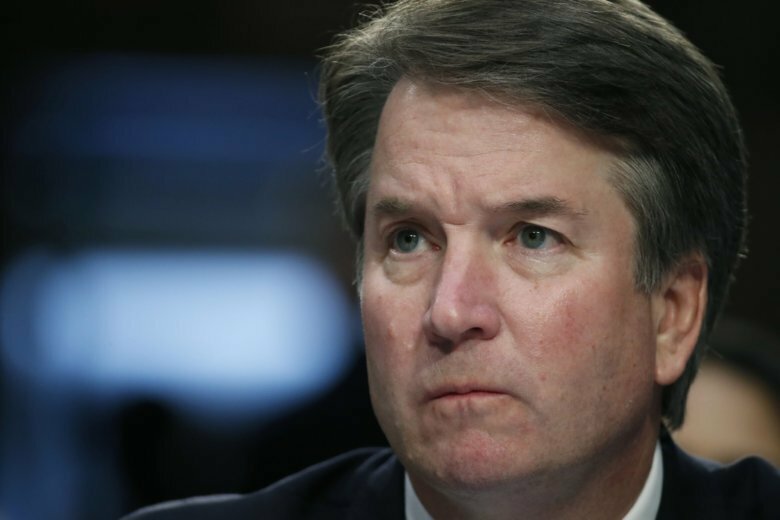 Brett Kavanaugh and the woman accusing him of a decades-old sexual assault both indicated Monday they would be willing to testify to a Senate panel as the confirmation of President Donald Trump's Supreme Court nominee shifted from seemingly painless to problematic. WASHINGTON (AP) — Republicans on Monday abruptly called Brett Kavanaugh and the woman accusing him of sexual assault decades ago to testify publicly next week, grudgingly setting up a dramatic showdown they hoped would prevent the allegation from sinking his nomination to the Supreme Court. The move forced Republicans to put off a planned committee vote for Thursday on Kavanaugh’s nomination. The delay makes it increasingly difficult for Kavanaugh to win approval by Oct. 1, when the new session of the Supreme Court begins. It also sets up a public, televised airing of sexual misconduct allegations, reminiscent of the seminal hearings against Clarence Thomas in 1991, that could derail Kavanaugh’s nomination altogether. Just hours earlier, top Republicans had shown no interest in a theatrical spectacle that would thrust Kavanaugh and Ford before television cameras with each offering public— and no doubt conflicting and emotional — versions of what did or didn’t happen at a high school party in the early 1980s. Instead, Grassley had said he’d seek telephone interviews with Kavanaugh and Ford, winning plaudits from Senate Majority Leader Mitch McConnell, R-Ky., for planning to handle the episode “by the book.” Democrats rejected that plan, saying the seriousness of the charges merited a full FBI investigation. If the Judiciary committee’s timetable slips further, it would become increasingly difficult for Republicans to schedule a vote before the Nov. 6 elections, in which congressional control will be at stake. With fragile GOP majorities of just 11-10 on the Judiciary committee and 51-49 in the full Senate, Republican leaders had little room for defectors without risking a humiliating defeat of Trump’s nominee to replace retired Justice Anthony Kennedy. There was enormous pressure on GOP Sens. Susan Collins of Maine and Lisa Murkowski of Alaska, two moderates who have yet to announce their positions on Kavanaugh and aren’t on the Judiciary Committee. Collins said that in a telephone conversation with Kavanaugh on Friday, he was “absolutely emphatic” that the assault didn’t occur, and she said it would be “disqualifying” if Kavanaugh was lying. Murkowski said Ford’s story “must be taken seriously.” Neither Collins nor Murkowski faces re-election this fall. With the #MeToo movement galvanizing liberal and female voters and already costing prominent men their jobs in government, journalism and entertainment, a hearing would offer a fuller vetting of Ford’s charges but also present a politically jarring prelude to November’s midterm elections. Cornyn said Senate Republicans used a closed-door meeting Monday to agree to the public hearing. Some Democrats raised questions about whether Grassley’s plan was sufficient. Sen. Dianne Feinstein of California, the top Democrat on the Judiciary panel, said in a statement Monday night that she was disappointed the FBI and White House “are failing to take even the most basic steps to investigate this matter” and that the process was being rushed. She said President George H.W. Bush had asked the FBI to investigate Anita Hill’s allegations against Thomas. The Justice Department said in a statement late Monday that the accusation against Kavanaugh “does not involve any potential federal crime.” It said the FBI had forwarded to the White House a letter, evidently from Ford, describing alleged misconduct in the 1980s by Kavanaugh. The statement seemed to suggest that the FBI was not currently investigating it. Underscoring the raw political divisions prompted by the Kavanaugh fight, Feinstein said she’d only learned of the hearing on Twitter. Earlier, Democratic Senate leader Chuck Schumer of New York said it would be “a deep insult to the women of America” if Grassley did not postpone Thursday’s meeting. And in an unusually personal swipe, Schumer said McConnell was showing “unmitigated gall” to oppose delaying Kavanaugh’s nomination after refusing for most of 2016 to consider President Barack Obama’s nomination of Merrick Garland to the court after Antonin Scalia died. Kavanaugh and Ford had each indicated earlier Monday a willingness to testify to the Judiciary committee. Debra S. Katz, Ford’s attorney, said on NBC’s “Today” show that Ford was ready to testify publicly to the Judiciary panel, but she did not respond Monday evening to efforts to learn whether she would appear. Ford, now a psychology professor at California’s Palo Alto University, told The Washington Post that an intoxicated Kavanaugh corralled her into a bedroom at a Maryland party when she was around 15 and he was about 17, held her down on a bed, tried to undress her and held his hand over her mouth when she tried to scream. She said she got away when a companion of Kavanaugh’s jumped on him. Kavanaugh is currently a judge on the U.S. Court of Appeals for the District of Columbia, widely viewed as the nation’s second-most-powerful court. Until Monday, Trump had remained silent about the allegations against Kavanaugh. The president himself has faced accusations of affairs and unwanted advances — not to mention his taped comments about groping women that emerged shortly before he was elected in 2016. Katz said Ford believes “she would have been raped” by Kavanaugh had he not been drunk. Associated Press writers Catherine Lucey, Mary Clare Jalonick, Darlene Superville and Zeke Miller contributed to this report. This story has been corrected to show the party breakdown on the Senate Judiciary Committee is 11-10 in favor of Republicans, not 12-11 in favor of Republicans.